Just like you our Women’s Complete is an expert multitasker. 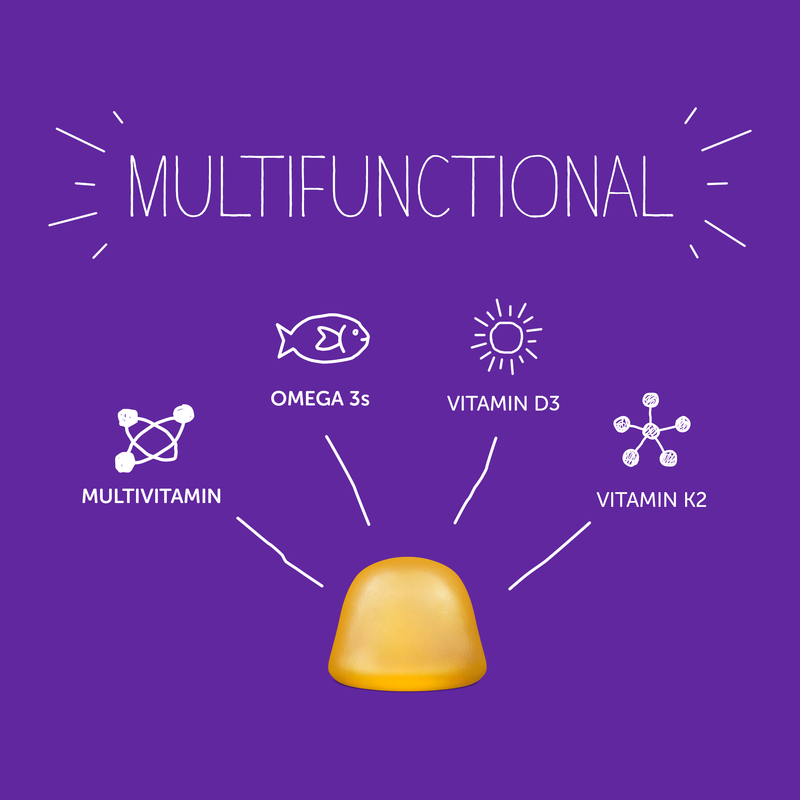 We use extra premium vitamins and essential nutrients like omega-3 EPA & DHA essential fatty acids (from sustainably-sourced fish oil), vitamin D3 for immunity, vitamin B12 for energy, CoQ10 for heart health and vitamin K2 for bone health. * So, you get more of the nutrients you want - all in one easy (and delicious) serving. Because we know you’re flawless. But some days, your diet might not be. We’ve got this! Formulated for women to help fill a range of nutrient gaps. Non-GMO. No synthetic colors, artificial flavors, sweeteners or other weird additives. Omega-3 (balanced EPA & DHA) essential fatty acids sustainably-sourced from wild-caught small fish. "L-methylfolate is a fundamental nutrient for promoting reproductive health." "Not only does SmartyPants Women’s Complete take the guesswork out of choosing, easily absorbable nutrients, such as methylfolate, K2, and D3, mean the body doesn’t have to work so hard!"